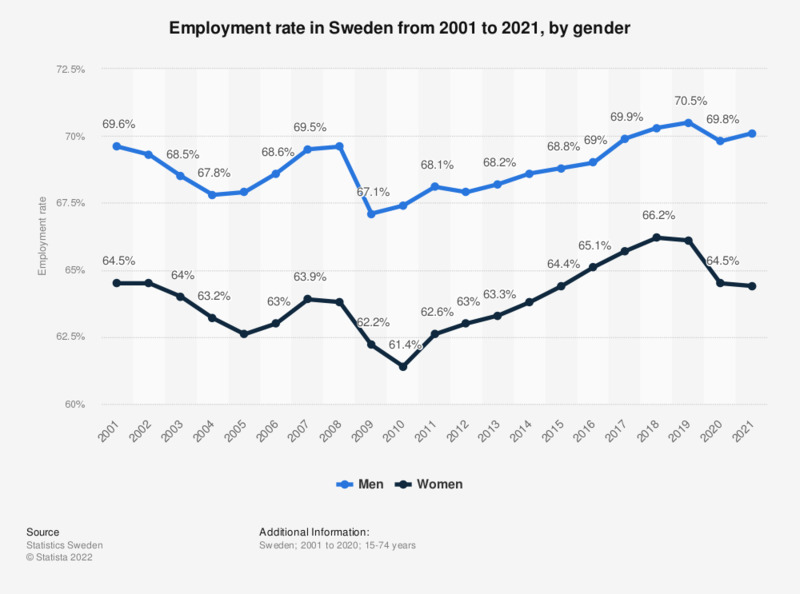 This statistic shows the employment rate in Sweden from 2007 to 2017, by gender. The rates for men were higher than those for women. Both gender groups experienced a noticeable decline in the employment rate in 2009 and 2010. In 2017, almost 70 percent of men were employed compared to 65.7 percent of women in the same year.